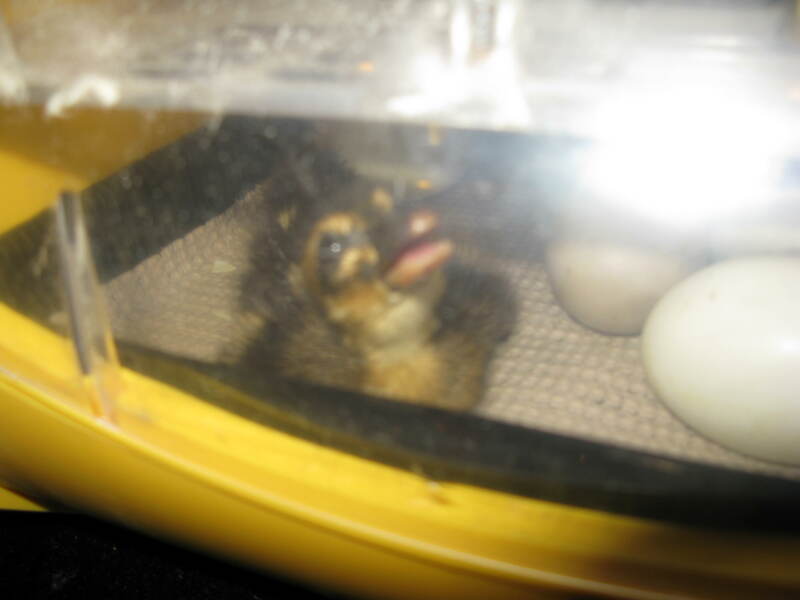 After discovering a little too late that ducks take longer to hatch than chickens (28 vs 21 days), we had to borrow our friend’s incubator to finish the job, since momma hens had other important work to do. 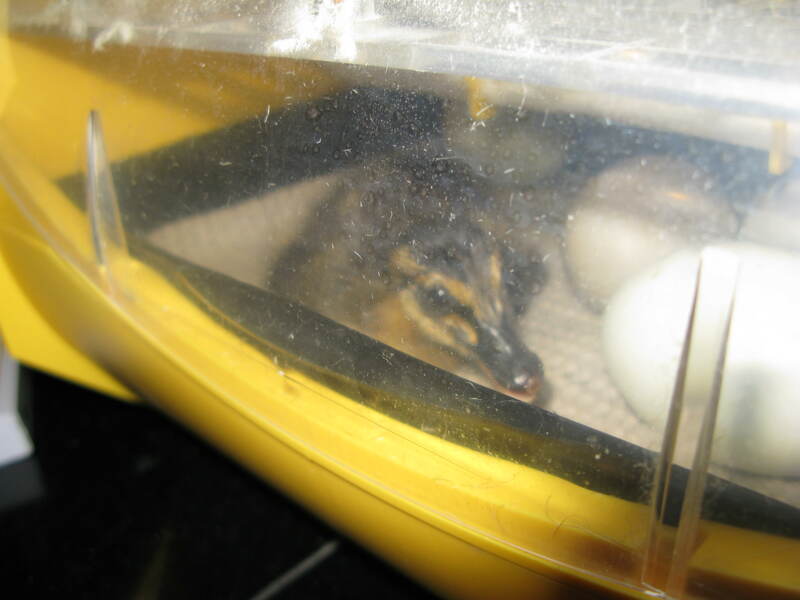 On of our ducks, the Rouen, hatched this morning. 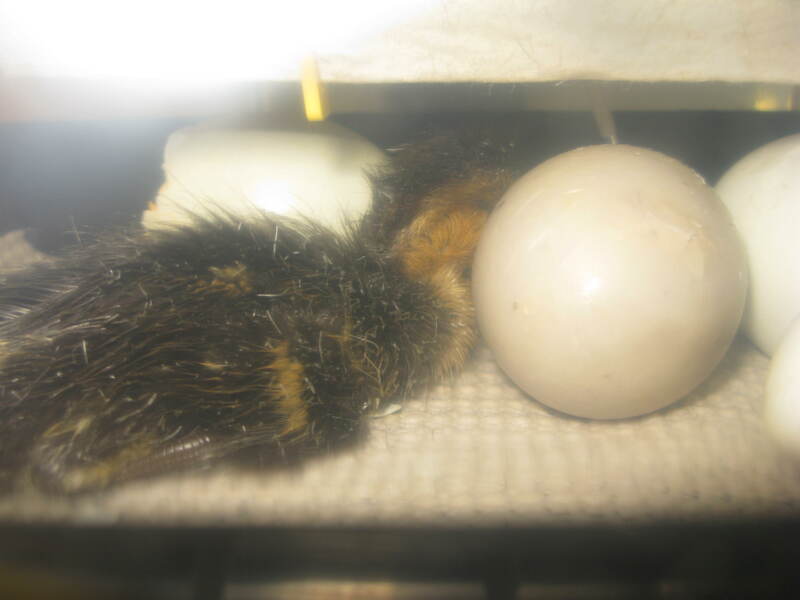 The other 3 eggs have cracks in them, so hopefully will be soon to follow. 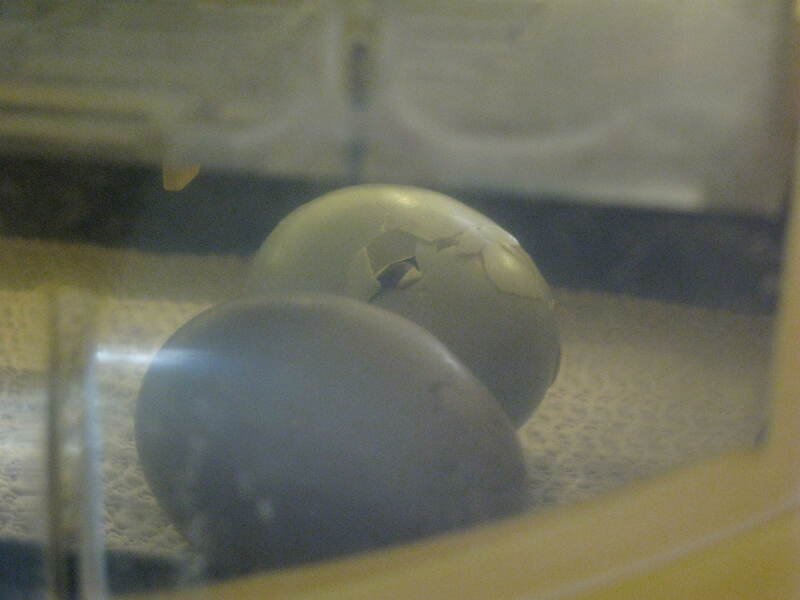 I took a bunch of pictures of the progression. 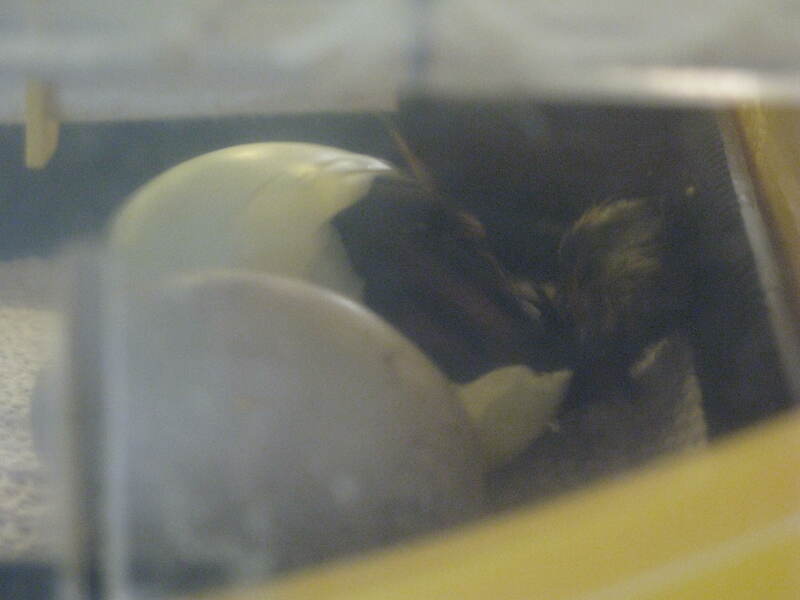 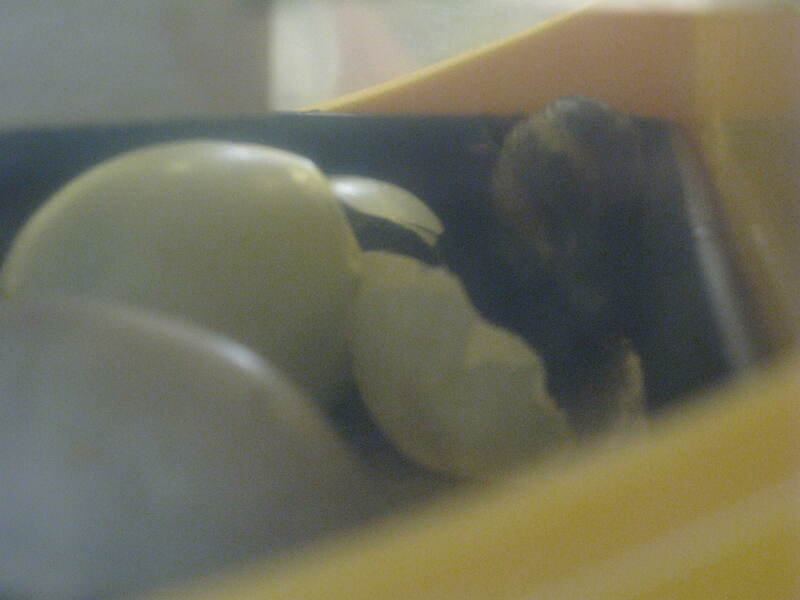 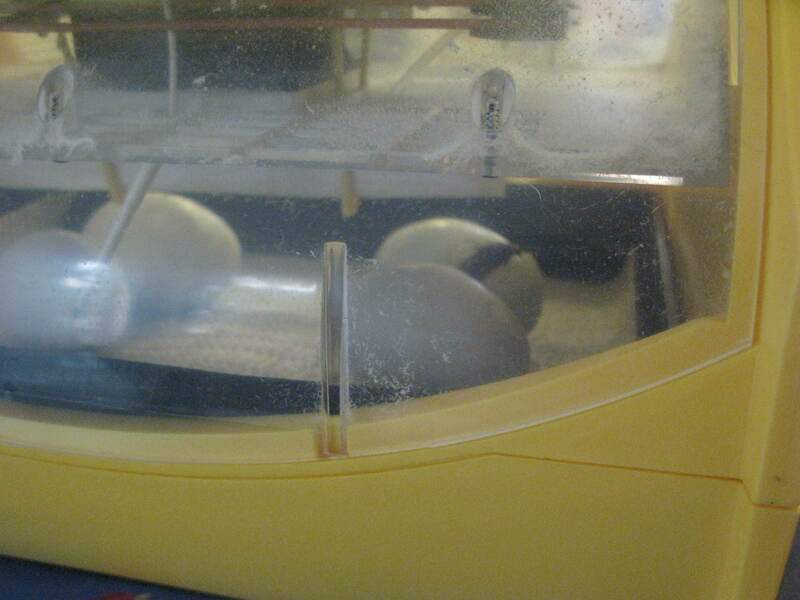 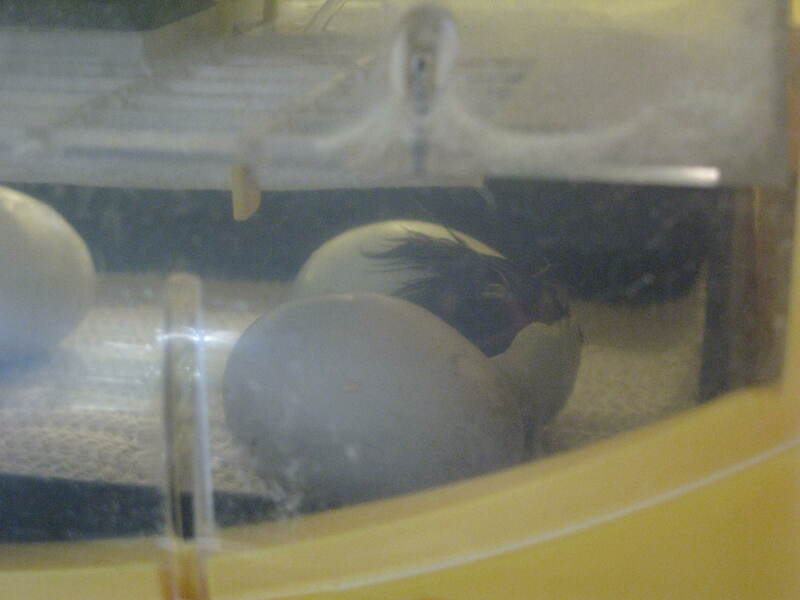 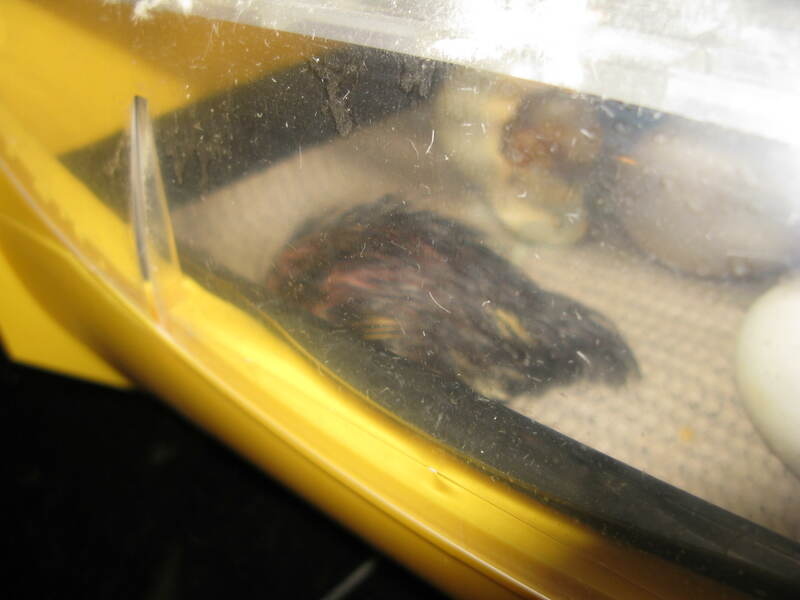 The pictures are through the incubator, so aren’t quite as clear as they could be. 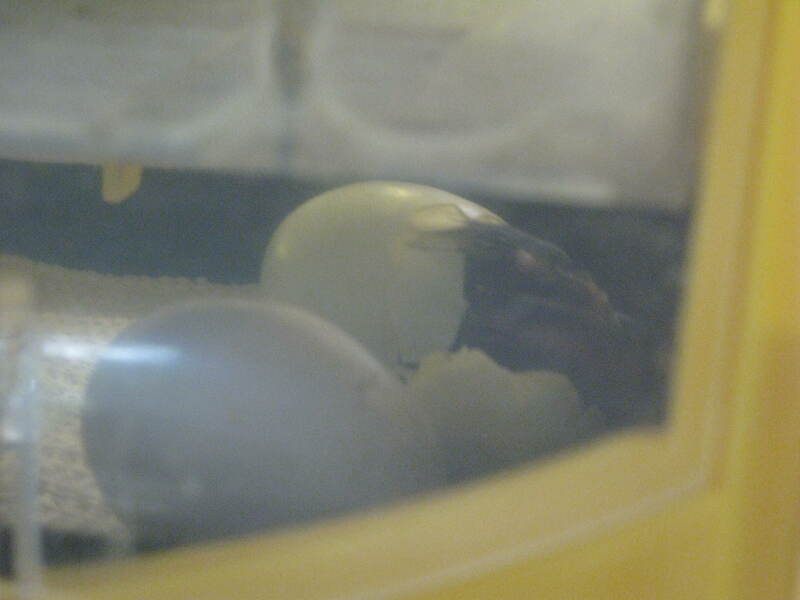 The duck is already interacting with us, coming up to the glass when we look in.